Do you get a nagging cough that doesn't ever seem to go away? Just taking cold medicine or a syrup that contains chemicals and additives is not always the best option. There are an assortment of natural methods that are a better option, like a homemade cough remedy. 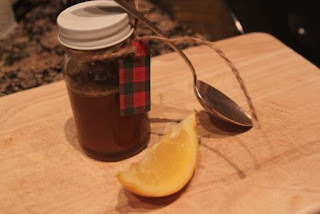 Making a homemade cough remedy is super easy to do. The best thing is, the ingredients you need are easy to get and may already be in your kitchen. Honey is the main ingredient you need. Organic is better for you, but you can use what you have. You can order organic honey on Amazon.